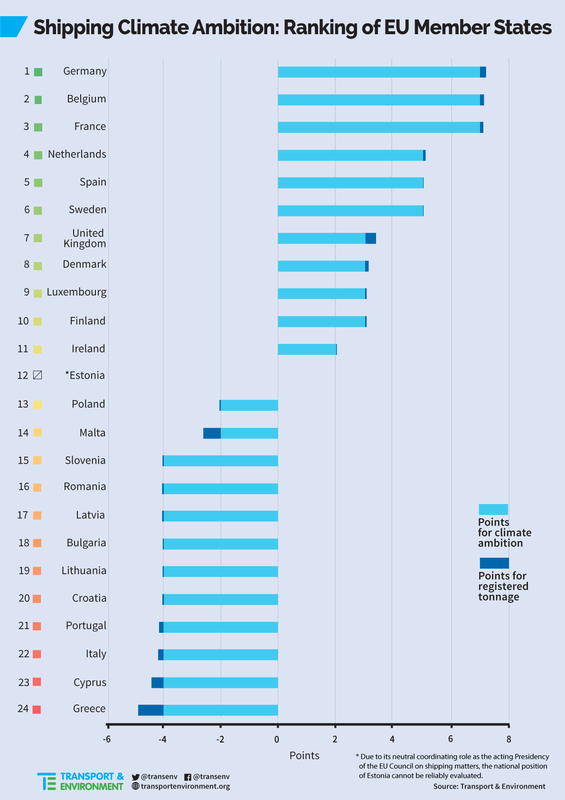 Greece, Cyprus, Italy, Portugal and Croatia are Europe’s worst performers when it comes to climate action at the International Maritime organisation (IMO), according to a new ranking by sustainability group Transport and Environment (T&E). “The EU’s biggest shipping registries, Malta, Greece and Cyprus received almost exclusively negative points given their near complete lack of ambition in the climate negotiations,” T&E said in a new report published today (22 March). Germany, Belgium and France, on the other hand, were praised for pushing hardest in favour of ambitious climate action at the IMO. “When the European Parliament demanded action on shipping emissions back in 2017, the big European maritime nations cried out that the EU shouldn’t regulate shipping, as everyone was doing their best to get things done at the IMO,” said Faig Abbasov, shipping officer at T&E. “But these same states are now working to derail progress on a climate deal for shipping at the IMO,” he added. The study comes as EU member state climate attachés discussed maritime emissions at a Council working party yesterday. 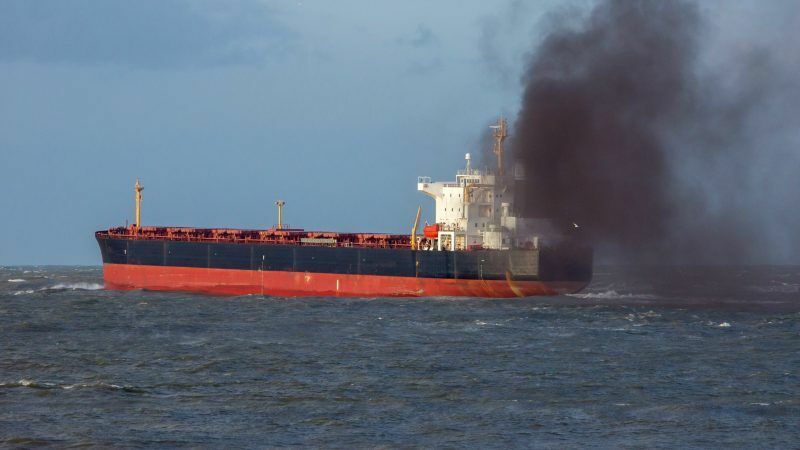 On 3 April, the IMO is supposed to agree an initial plan to cut greenhouse gas emissions from ships. But Southern and Eastern EU nations were generally far less ambitious than their Northern EU counterparts, T&E said. Shipping emits 3% of global CO2, yet it remains one of the few sectors of the global economy without specific emissions reduction targets. Last year, the European Parliament backed an amendment to EU legislation that would regulate shipping under the Emissions Trading Scheme (ETS), the world’s largest carbon market and one of the bloc’s flagship policies to fight climate change. Under the clause, shipping will become ETS-regulated from 2023 if the International Maritime Organisation (IMO) fails to agree to global measures to combat global-warming emissions by 2021. 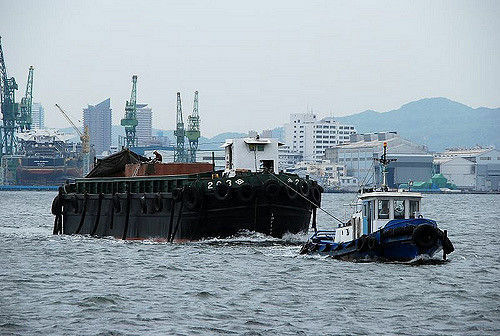 The IMO will meet in April 2018 to adopt its Initial strategy to cut emissions in the sector, more than 20 years after it was first tasked to do so by the Kyoto Protocol in 1997. Key issues on the table at the talks include: an agreement on a long-term emissions reduction target; a commitment to immediate action; and the shortlisting of candidate short, mid and long-term reduction measures. European Union member states are likely to oppose the regulation of shipping in draft reforms to the bloc’s carbon market. Hey T&E how about the climate ambitions from NL or DE? How about their pledges for RES? How about your greenwashing? Do you take money with Dutch or German origins?